Get Chinatown flavor in Midtown at Tasty Hand-Pulled Noodles II! We bring your favorite flavors, plus some new ones, right to you. "Now for the finishing touches." "We fill your stomachs, you fill our hearts. https://www.yelp.com/biz/tasty-hand-pulled-noodles-ii-new-york"
"Take on this tasty trio." Best noodle bowl. Hands down. Dumplings are just as good. Great service. Fair price. Right in the middle of Hellâ€™s Kitchen. Warming bowl in the middle of November. Yes, I'd like to receive news from Tasty Hand Pulled Noodles II. 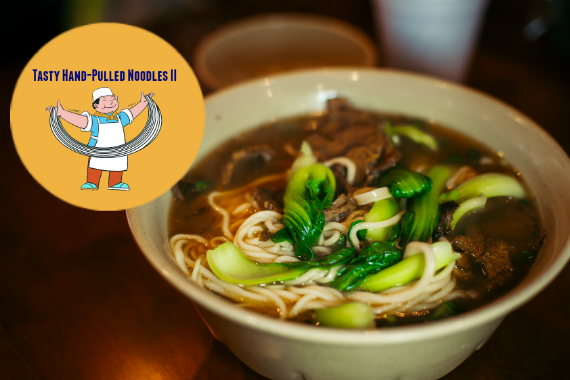 Sign up for the Tasty Hand Pulled Noodles II Newsletter!